Workshopping the Derry Soundscape: Mobile technologies as Creative Tools for Third Age Adults | Sounding Out! In 2014, the Irish Research Council funded a project that looked to increase the access of older people to creative opportunities while at the same time generating interest in research examining the social implications of sound, music, and performance produced by older people. The project ran over a 9-month period and included a two-week workshop with a group of third age adults based in Derry, Northern Ireland. This fulltime workshop consisted of training three people aged between 65-70 in the area of gesture based audio technologies on iOS devices. My initial impetus behind the project was to find different ways to engage older adults with technologies outside of the typical education programs which focus on internet training and learning how to use communication applications like email and VOIP software. I designed the workshop to introduce the participants to a range of audio-based applications designed specifically for an iPad. They learned how to use digital audio recorders, including the different file types associated with sound quality, such as compressed audio mp3 and mostly uncompressed audio WAV (windows audio video format). For clarity, I organized the audio applications into three distinct types: audio editing apps, gesture based performance apps and sound synthesis apps. Learning sound production, I felt, would offer elder people a different kind of value than basic workplace digital skills, something perhaps even more important for third age adults, what Fisher and Specht describe as a “positive sense of future” in “Successful Aging And Creativity In Later Life” (459). Training in digital activities such as multi-track editing, performance and synthesis applications, the use of digital audio recorders, soundscape recording, using cloud based applications for sound sharing, and mastering finished works of sound offered more than just a “skill” for workshop participants, it also held out a new sense of purpose, a means to continue engaging with community, continued intellectual stimulation, and the possibility of a new period of productivity in their lives. One of the key components to the workshop involved talking about sound and sound art, and discussing the kinds of art made from sound, including work made for radio. Such conversation presented difficulties for people who were largely unfamiliar with fine art, a problem compounded by the fact that, as an emerging art form, sound is not always visible in mainstream cultural spaces. To ease the transition, I centered our early discussions on important sounds in the participants’ lives: sounds remembered and now lost, the difference between rural and urban soundscapes, and unique perhaps for this particular group, the sounds of civil war. All of the participants had lived in Derry most of their lives and experienced some aspect of the violence within Northern Ireland; through our conversations, sound became an interesting way to memorialize and process this event. We then discussed how these soundscapes could be documented, changed and presented as works of art. Later, workshop conversation consisted of listening to sound art pieces. This helped the group get a sense of the potential of sound as an expressive art form. During the workshop, I emphasized the process and practice of sound making over the technology required to undertake the production of their art works. In this way, by focusing on an artistic concept, the technology just became the means in which they could be creative. Each participant was given a digital audio recorder (Zoom), which they brought home to record sounds they found interesting. Every meeting, the group discussed how–through the act of recording and listening–their perception of familiar sounds was being altered. They began also to experiment when recording, using their voices – singing – reading poetry etc. in different spaces, getting close up to sounds – exhaust pipes in cars, for example—and placing the microphone in unusual places such as a neighbours pig shed. Gradually, participants began to think of the sounds they collected as being part of a larger project and they became much more selective about what they would record. In addition, the group began to critique the sounds they recorded as well as sharing their sounds using Dropbox folders. These recordings became the basis for their final works; even if their sounds were eventually altered beyond recognition, the sounds inspired their artistic concepts. The first Saturday of the two-week workshop included a soundscape recording day in Derry city. 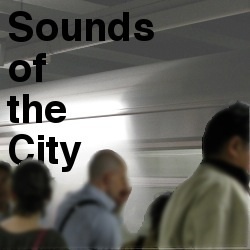 Each participant was asked to walk the city, recording sounds they found interesting. What emerged during the sound walks was unexpected. Members of the group began to engage with spaces and people, interviewing some, asking others to make sounds. For example, two participants went into a music store and asked the staff to sing or play an instrument so that they could record these sounds. They also went to the main cathedral in Derry and had the bells rung especially for them and a trainee organist play some traditional organ music. One participant, a poet, had different people read lines from a selection of his poems. He stated later that he was hoping to collect the sounds of women, children and men, as well as the multiple accents of Derry people, because his poetry was about Derry and therefore Derry should be its voice. I had not anticipated this engagement with community and space when I designed the workshop. During the focus group discussion after the sound walk, each participant talked primarily about how the recorder allowed them access to sounds and people. The technology acted as an interface between them and a sound that they wanted; it gave them the confidence to approach strangers, because they felt they were working on something important. In addition to conversation and artistic process, the first week of the workshop introduced participants to three applications: Auria audio editor, TC11 gesture based performance app and Animoog (a music synth app designed for iPad). A number of papers argue that it is the complexity of software applications, including the internet, which proves difficult to older users. Overlapping and contrasting colours are defined as difficult to engage with and can be distracting to users whose vision is in any way impaired through ageing. The Auria editor is as complex visually as most computer DAW’s, with one key difference: all interactions are gestural. This simple difference meant that each of the users found engaging with the application less difficult than if they had to deal with a mouse, keyboard, shortcuts and OS’s (see figure). None of the participants felt that the screen and its multiple windows were so difficult that they could not engage. In fact, we had initially worked with a much simpler audio editing app, Hokusai, which they felt was too simple in its design and usability. By the end of the two-week workshop, the participants had produced at least one complete work of sound, with some creating up to 4. Selected works were compiled in a CD that was launched in November 2014 at the U3A in Derry. Listen to a sampling below. In a final focus group discussion, the participants all responded very positively to the experience while offering suggestions about future workshops. Most agreed that the digital audio recorders allowed them to open their ears to the possibility of working with sound, but from an ethnographic perspective. The recorders allowed the participants engage actively with people and spaces in a way that had not been anticipated, empowering them with a sense of purpose, and allowed them give voice to both their creative ideas and the voices and soundscapes of Derry. In addition, the iPADs and audio recorders allowed them a sense of technological and creative mobility; they could access sounds on the move, place and share them in the cloud, perform/compose and edit in different spaces. Working on this project altered a number of preconceptions I had inadvertently brought with me about older peoples’ capabilities, even though my proposed project challenged other assumptions about aging. For example, I chose some of the audio applications for their simple design, mostly because previous research had highlighted older adults’ limitations in regards to the digital, based on principles of design, where technology is often shaped for a younger, often male, user. The participants in this workshop proved they could learn and even be creative with complicated applications such for synthesis and sophisticated editing. 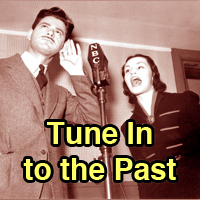 Even though I have written about older peoples use of audio technologies dating back to the 1940s–and how they developed sophisticated hacked mechanisms in order to broaden their sound/media sphere (O’Keeffe 2015)–I failed to consider that my participants would also have a contemporary relationship to mobile technologies. Yet all three participants, in varying degrees, used some form of mobile technology, from tablets to android phones. But what was evidenced through our conversations was the limited way in which they used their tech. After the workshop, most talked about buying and using audio applications or recording technology for creative or documentary use. Prior to the workshop, I myself rarely used iPad audio apps; for me, it required thinking differently about mobility and sound design, and it was only on seeing the very creative ways in which the participants used the iPad that I started to rethink how IOS apps could support my sound practice. Following from this project, I am now in the process of developing a performance collective with third age adults. 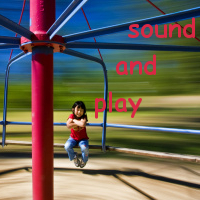 We will examine ways in which sounds can be assigned meaning and then used in a performance setting. The project will take about a year to complete and the hope is that, when finished, the performance collective will continue, with a tool kit to sustain their practice. Linda O Keeffe isis a lecturer in sound at Lancaster Institute of Contemporary Art. She is also secretary to the Irish Sound Science and Technology Association and editor of the Interference Journal. She has several papers and book chapters published and due for release in the fields of sound studies. Her practice is concerned with an exploration, both academic and creative, of the ways in which sound alters our experience of different spaces. Her art training was within the sculpture department of IADT under the tutelage of Finola Jones. She completed a Masters in Virtual Reality in NCAD with Kevin Atherton, and just finished a PhD in sociology in NUIM. Her research examined the urban of Dublin city soundscape as socially and technologically co-constructed. She has composed for dance, theatre, quartets, and new instrument performers, installed sound installations for commissions in Ireland, China and Holland, and has had radio works performed both nationally and internationally. In 2008 she was mentored under Eric Leonardson in Chicago, a sound artist and performer. More recently, she was commissioned by Resonance FM to create a work for radio for the 2013 Derry city of culture event. In November 2014 Linda had a solo exhibition called “Spaces of Sound and Radio Spaces” for the Limerick Sculpture Centre, a creative realization of her PhD research.She will be releasing an album next year with the composer Tony Doyle on spatialisation and sonified memories with Farpoint Recordings, her third album. You can find her at www.lindaokeeffe.com.